Mary “Prim” Jones is a pioneer for women in the field of engineering. 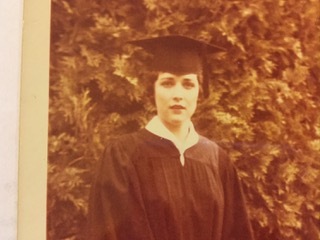 Graduating in 1962, she was just the third woman to graduate with a degree in mechanical engineering from Virginia Tech. After graduation, she began a successful career in aeronautics engineering and became an executive director with what is now Aerojet Rocketdyne. Both Virginia Tech and engineering are in her blood. 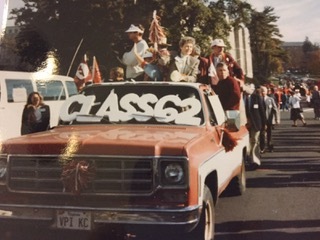 Starting from childhood, Jones had a deep connection to Virginia Tech. Although she was born in Roanoke, Virginia, she grew up in Blacksburg and could see Virginia Tech’s campus from her house. She fondly remembers roller skating with her friends through the mechanical engineering labs and on the sidewalks in front of Eggleston, as well as watching fireworks, launched after university organizations held extravagant dances, from her window. Along with her connection to Virginia Tech, Jones also had a connection to engineering at a young age. Her father, uncle, brother, and cousin — J.B. Jones, who recently received the Ruffner Medal for his service to Virginia Tech — all studied mechanical engineering at Virginia Tech, and her father and cousin were both professors and served terms as head of the mechanical engineering department. Although she received ample support from her family at home, Jones faced discrimination from both peers and professors because of her career choice. They thought she wasn’t “tough enough” to study engineering and become a successful engineer. She proved them all wrong, however — which is not surprising considering her ambition and tenacity. For example, in high school, Jones was yearbook editor, a cheerleader, a member of the debate team, and a participant in the school play, and she carried this same drive for success with her throughout her college years and beyond. As a female engineering student at Virginia Tech, Jones was used to being the only woman, and often the only civilian, in the room. The year she started college, she was one of six women in the Class of 1962 to study engineering; out of those six, only three graduated. During that time, there also weren’t many ways for women to get involved in university organizations, which caused many women to feel isolated from university life. Though she considered going to other schools, Virginia Tech was the only school in Virginia at the time that admitted women to study engineering. After she was accepted, Jones decided to live at home for all four years of college, since her other option was to live in Hillcrest, the female dorm that mainly housed home economics majors. Living at home proved to be a beneficial experience for her, as it allowed her to connect with her family and study in peace, which is what Jones spent the majority of her college years doing. Since she knew that it was difficult for female engineers to find decent jobs, she put the majority of her energy into earning A’s in her classes, yet she still got turned down for jobs because of her gender. After a discouraging job search, she started working at Atlantic Research Corporation in Northern Virginia developing rocket propulsion systems. Living near D.C. in the ‘60s, Jones was able to experience the impact of historical events like the assassinations of JFK and Martin Luther King, Jr., which helped amplify her passion for equal rights. Even while devoting her attention to her burgeoning engineering career, Jones’ determination led her to receive her master’s degree in mechanical engineering from George Washington University in 1972. She was diagnosed with breast cancer in 1999 and was told she had a 10 percent chance of living, but after undergoing heavy chemotherapy, she was able to beat the odds, further demonstrating the power of her strength and resolve. Among her many accomplishments, in 1993, she was on the Aeronautics and Space Engineering Board, which reviewed NASA’s technology development program for small spacecraft, and in 2017, she was named a Virginia Woman in History by the Library of Virginia. She was the first engineer to be recognized with this honor. 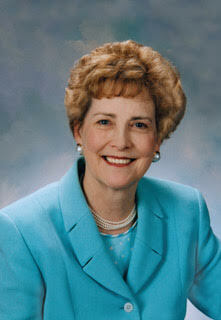 She was also the first female engineer to be licensed in Virginia. 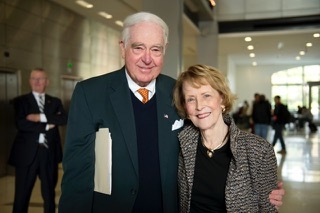 Jones was invited to be on the Board of Visitors at Virginia Tech in 1983, and she was inducted into the College of Engineering’s Academy of Engineering Excellence in 2014. She was the first female engineer to receive the Distinguished Alumni Award, as well as the first woman to receive the University Distinguished Award. Jones is also a former president of the Alumni Association and a fellow with the American Institute of Aeronautics and Astronautics (AIAA). A lot has changed at Virginia Tech since Jones was a student. For example, back then, every male student had to be in the Corps of Cadets and women weren’t allowed in the Corps. Women also couldn’t major in a subject if it was taught at Radford, since Radford was Virginia Tech’s sister school. 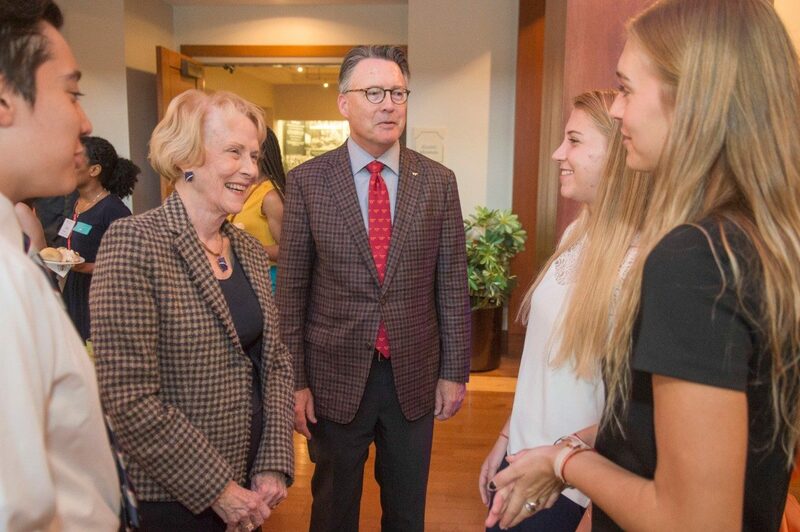 Although Jones has seen many positive changes concerning people’s attitudes toward women in engineering and other male-dominated fields, she thinks Virginia Tech and the commonwealth of Virginia still have a long way to go. Though she expressed frustration that she can’t set up a fellowship specifically for female engineering students, she is involved with the Beyond Boundaries scholarship program at Virginia Tech to help attract high-performing students to the university. As a fellow with the Society of Women Engineers, Jones helps empower female engineers and encourage them to keep pursuing engineering. Now retired and once again living in Blacksburg, Jones lives a quiet life surrounded by friends and family. She continues to inspire young female engineering students to never give up on their goals and to leave a legacy for those who come after them, just like she did. Experience Mary “Prim” Jones full interview here!